We offer a comprehensive range of waste disposal services, from fully integrated waste management programmes to single bin or skip hire services. Operating from our fully licensed waste recycling centre located in Tetbury, Gloucestershire we are proud to have over 30 years’ experience in recycling and waste operations. Our modern fleet of extendable skip trucks means we have the ability to deliver suitably sized skips into small and restricted areas. 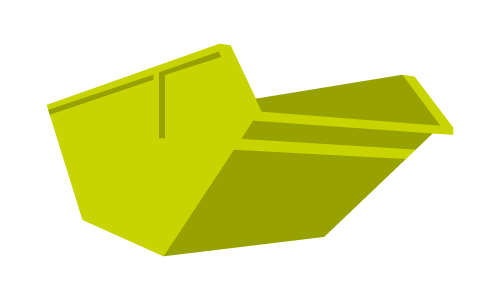 We deliver skips for a range of businesses and contractors – both large and smaller scale. We are proud of our modern fleet which enables us to deliver a range of skip sizes and types regardless of site terrain. For larger jobs a roll-on-roll-off skip can prove the more efficient option. At Valley Trading we have a number of RO/RO containers available and in a range of sizes. Our skip hire and waste management services cover a large area around Gloucester, Bristol, Bath, Swindon and Cheltenham. Please take the time to fill in our quick quote form here and one of our dedicated team members will respond as soon as possible. Alternatively call us on 01666 505800.